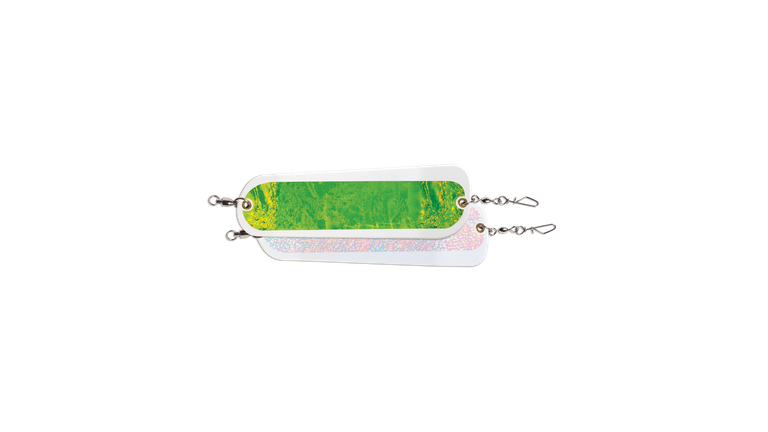 The Coyote Flasher is the best deep water trolling device ever designed for attracting and catching big fish such as Chinook Salmon and Lake Trout. When pulled through the water, it develops a full 360 degree rotation. This churning motion creates sonic vibration and horizontal flash, which draws fish in from far away. Plus the unique erratic and pulsating action of the Coyote Flasher will hold the fishs interest and prompt it to strike. Width: 3 3/4" Length: 11"